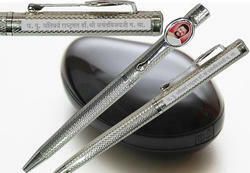 We offer personalized pen in 999 Silver for Corporate Gifting. Our pens are solder free and are ET Designed. Some of our corporate gift ideas include Pens: Ball Point Pen, Ball Pens, Plastic Pens, Ink Pens, Roller Pens, Gel Pens, Add Roller Pen, Metal Pen, Unique Pens, Gift Pens, Pen Sets. Personalized Pens, Printed Pens, Custom Printed Pens, Logo Pens, Corporate Pens, lnk Pens and Fountain Pens. We are specialized in manufacturing and supplying premium quality Custom Promotional Pens. These are manufactured from top quality materials and are available in different patterns and designs. 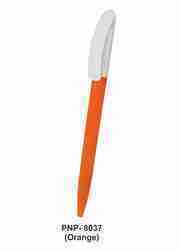 We also offer these pens in custom made and in bulk orders as per our clients requirements at market leading prices. To meet the miscellaneous requirements of our valued clients in the best possible and trusted manner, we are offering a high quality of Promotional Pen.